Whether you’re just beginning or are an experienced actor, it all starts with the script. If bringing the words to life is what makes us actors, learning to convey subtext, nuance and genuine emotion is can make us great actors. 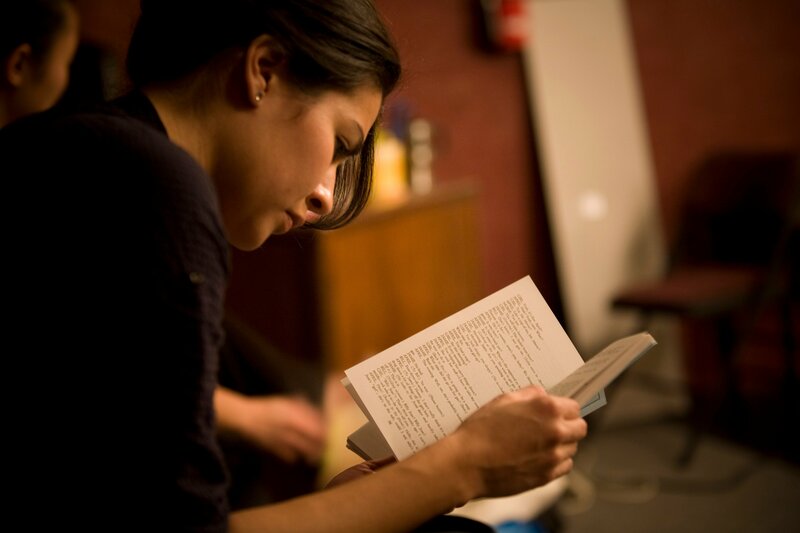 The Script is an 11 week scene study class offered at EMASLA that emphasizes the role of text in an actor’s performance. Techniques are offered that help the actor make character choices, play objectives, and relate emotionally to world created by the scene. Furthermore, actors are taught to understand the voice of the writer in different genres and styles, allowing them to better connect with the intentions and vision of the writer as they express their own emotions through the words of others. Both beginning and experienced actors who wish to improve their text analysis and script reading are encouraged to apply. All EMASLA class sizes are limited in size to ensure one-on-one interaction with instructors. Visit our registration page to reserve your place one of our two time slots for The Script.